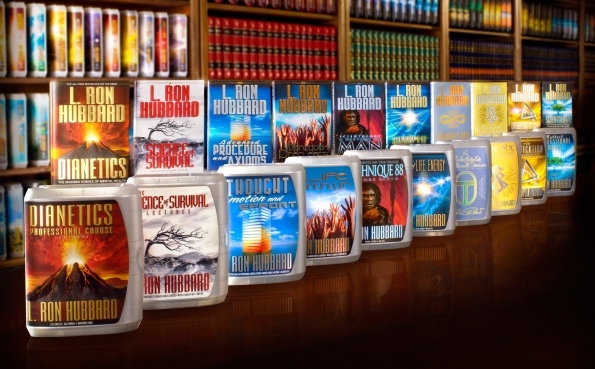 Although best known for Dianetics and Scientology, L. Ron Hubbard cannot be so simply categorized. If nothing else, his life was too varied, his influence too broad. There are tribesmen in Southern Africa, for example, who know nothing of Dianetics and Scientology, but they know L. Ron Hubbard, the educator. Similarly, there are factory workers across Eastern Europe who know him only for his administrative discoveries; children in Southeast Asia who know him only as the author of their moral code and readers in dozens of languages who know him only for his novels. So, no, L. Ron Hubbard is not an easy man to categorize and certainly does not fit popular misconceptions of “religious founder” as an aloof and contemplative figure. Yet the more one comes to know this man and his achievements, the more one comes to realize he was precisely the sort of person to have brought us Scientology—the only major religion to have been founded in the twentieth century. What Scientology offers is likewise what one would expect of a man such as L. Ron Hubbard. For not only does it provide an entirely unique approach to our most fundamental questions—Who are we? From where did we come and what is our destiny?—but it further provides an equally unique technology for greater spiritual freedom. So how would we expect to characterize the founder of such a religion? Clearly, he would have to be larger than life, attracted to people, liked by people, dynamic, charismatic and immensely capable in a dozen fields—all exactly L. Ron Hubbard. His earlier accomplishments are equally impressive. As a barnstorming aviator through the 1930s, he was known as “Flash Hubbard” and broke all local records for sustained glider flight. As a leader of far-flung expeditions, he is credited with conducting the first complete Puerto Rican mineralogical survey under United States protectorship and his navigational annotations still influence the maritime guides for British Columbia. His experimentation with early radio directional finding further became the basis for the LOng RAnge Navigation system (LORAN); while as a lifelong photographer, his work was featured in National Geographic and his exhibits drew tens of thousands. The story is immense, wondrous and effectively encompasses the whole of his existence. Yet the broad strokes are these: By way of a first entrance into a spiritual dimension, he tells of a boyhood friendship with indigenous Blackfeet Indians in Helena, Montana. Notable among them was a full-fledged tribal medicine man locally known as Old Tom. In what ultimately constituted a rare bond, the six-year-old Ron was both honored with the status of blood brother and instilled with an appreciation of a profoundly distinguished spiritual heritage. The third crucial step of this journey lay in Asia, where an L. Ron Hubbard, then still in his teens, spent the better part of two years in travel and study. He became one of the few Americans of the age to gain entrance into fabled Tibetan lamaseries scattered through the Western Hills of China and actually studied with the last in a line of royal magicians descended from the court of Kublai Khan. Yet however enthralling were such adventures, he would finally admit to finding nothing either workable or predictable as regards the human mind. Hence his summary statement on abiding misery in lands where wisdom is great but carefully hidden and only doled out as superstition. That research consumed the next twenty years. Through the course of it, he would move amongst twenty-one races and cultures, including Pacific Northwest Native American settlements, Philippine Tagalogs and aboriginal people of then remote Caribbean isles. In the simplest terms, his focus lay with two fundamental questions. First, and extending from experimentation conducted at George Washington University, he sought out a long-speculated life force at the root of human consciousness. Next and inextricably linked to the first, he searched for a unifying common denominator of life—a universal yardstick, as it were, with which to determine what was invariably true and workable as regards the human condition. What amounted to a first philosophic plateau came in 1938 with a now legendary manuscript entitled “Excalibur.” In essence it proposed life to be not a random series of chemical reactions, but instead driven by some definable urge underlying all behavior. That urge, he declared, was Survive! and it represented the single most pervasive force among all living things. That Man was surviving was not a new idea. That here was the sole common denominator of existence—this was entirely new and therein lay the signpost for all research to follow. Thereafter Mr. Hubbard tested workability on a broad selection of cases drawn from a cross section of American society, circa 1948. Among those case studies were Hollywood performers, industry executives, accident victims from emergency wards and the criminally insane from a Georgia mental institution. In total, he brought Dianetics to bear on more than three hundred individuals before compiling sixteen years of investigation into a manuscript. That work is Dianetics: The Original Thesis. Although not initially offered for publication, it nonetheless saw extensive circulation as hectographed manuscripts circulated within scientific/medical circles. Moreover, such was popular response, Mr. Hubbard soon found himself besieged with requests for further information. In eventual reply, he authored what became the all-time bestselling work on the human mind: Dianetics: The Modern Science of Mental Health. If Winchell’s statement was bold, it was nonetheless accurate; for with Dianetics came the first definitive explanation of human thinking and behavior. Here, too, was the first means to resolve problems of the human mind, including unreasonable fears, upsets, insecurities and psychosomatic ills of every description. If ever one wished for incontrovertible proof of Dianetics efficacy, one need only consider what it accomplished. The cases are legion, documented and startling in the extreme: an arthritically paralyzed welder returned to full mobility in a few dozen hours, a legally blind professor regaining sight in under a week and a hysterically crippled housewife returned to normalcy in a single three-hour session. Then there was that ultimate goal of Dianetics processing wherein the reactive mind is vanquished entirely, giving way to the state of Clear with attributes well in advance of anything previously predicted. Needless to say, as word of Dianetics spread, general response was considerable: more than fifty thousand copies sold immediately off the press, while bookstores struggled to keep it on shelves. As evidence of the workability grew—the fact Dianetics actually offered techniques any reasonably intelligent reader could apply—response grew even more dramatic. “Dianetics—Taking U.S. by Storm” and “Fastest Growing Movement in America” read newspaper headlines through the summer of 1950. While by the end of the year, some 750 Dianetics groups had spontaneously mushroomed from coast to coast and six cities boasted research foundations to help facilitate Mr. Hubbard’s advancement of the subject. The ensuing line of research, embarked upon some twenty years earlier, he described as a track of “knowing how to know.” In a further description of the journey, he metaphorically wrote of venturing down many highways, along many byroads, into many back alleys of uncertainty and through many strata of life. And if many before him had roved upon that track, they left no signposts, no road map and revealed but a fraction of what they saw. Nevertheless, in the early spring of 1952 and through a pivotal lecture in Wichita, Kansas, the result of this search was announced: Scientology. An applied religious philosophy, Scientology represents a statement of human potential that even if echoed in ancient scripture is utterly unparalleled. Among other essential tenets of the Scientology religion: Man is an immortal spiritual being; his experience extends well beyond a single lifetime and his capabilities are unlimited even if not presently realized. In that respect, Scientology represents the ultimate definition of a religion: not just a system of beliefs, but a means of spiritual transformation. How Scientology accomplishes that transformation is through the study of L. Ron Hubbard scriptures and the application of principles therein. The central practice of Scientology is auditing. It is delivered by an auditor, from the Latin audire, “to listen.” The auditor does not evaluate nor in any way tell one what to think. In short, auditing is not done to a person and its benefits can only be achieved through active participation. Indeed, auditing rests on the maxim that only by allowing one to find one’s own answer to a problem can that problem be resolved. Precisely to that end, the auditor employs processes—precise sets of questions to help one examine otherwise unknown and unwanted sources of travail. Yet if Scientology represents the route to Man’s highest spiritual aspirations, it also means much to his immediate existence—to his family, career and community. That fact is critical to an understanding of the religion and is actually what Scientology is all about: not a doctrine, but the study and handling of the human spirit in relationship to itself, to other life and the universe in which we live. In that respect, L. Ron Hubbard’s work embraces everything. “Unless there is a vast alteration in Man’s civilization as it stumbles along today,” he declared in the mid-1960s, “Man will not be here very long.” For signs of that decline, he cited political upheaval, moral putrefaction, violence, racism, illiteracy and drugs. It was in response to these problems, then, that L. Ron Hubbard devoted the better part of his final years. Indeed, by the early 1970s his life may be charted directly in terms of his search for solutions to the cultural crises of this modern age. The materials of Dianetics and Scientology include 3 encyclopedic series and some 3,000 taped lectures. 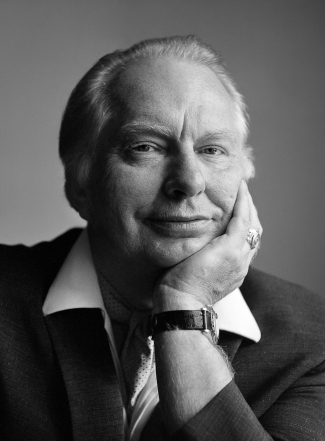 In full, L. Ron Hubbard’s philosophic contribution represents more than 75 million written and recorded words. Together these materials constitute the largest single body of work on the human mind and spirit.